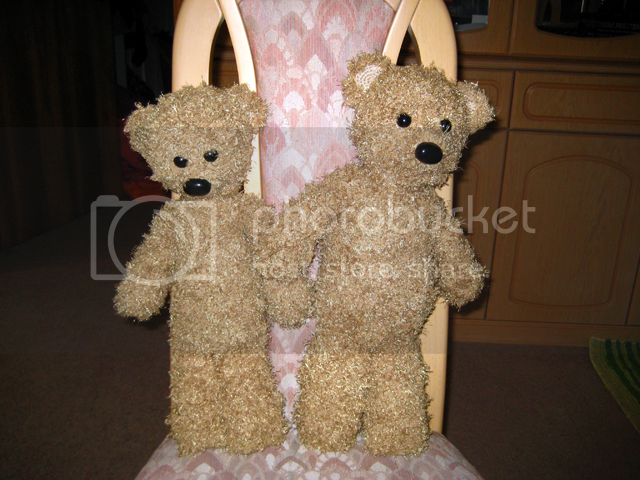 Now I've made two bears. I didn't even manage to follow my own pattern (from memory) so my second bear is bigger and fatter haha. He was meant to test my pattern and I FORGOT TO FOLLOW IT. Haha. I'm hopeless. But he's still gorgeous. If a little lopsided. Now I can send them off to their various new owners!